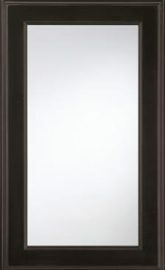 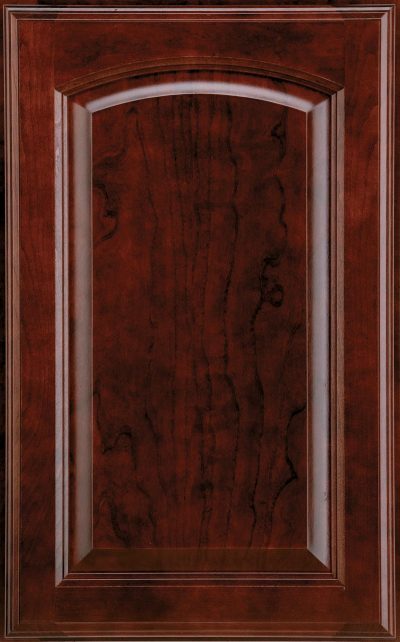 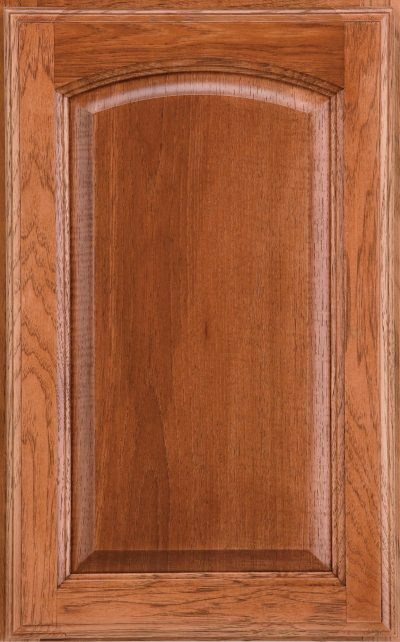 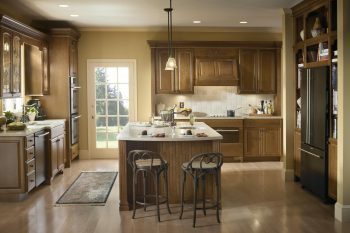 Orders in Cullen receive the FIllmore door style on base cabinets as well as the lower door of tall cabinets. 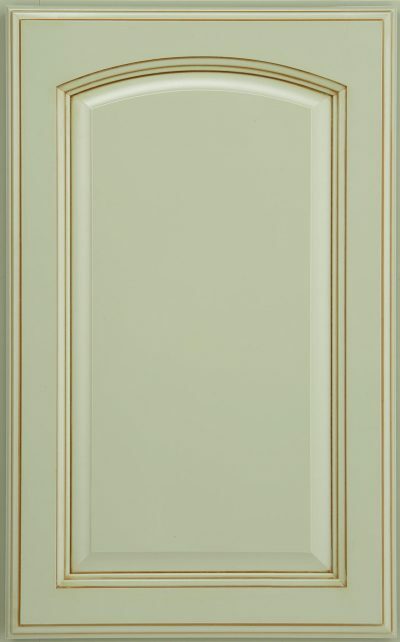 Vanity wall and vanity base cabinets receive arched design. 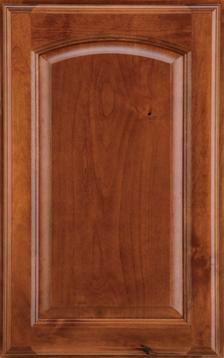 Doors and drawer fronts have back bevel profile on all four edges.